Timeworn fast-food joints sit shoulder to shoulder with fancy, Michelin-star restaurants. The ‘L’ (an elevated metro line) chugs, like a rollercoaster, as it navigates its way through an urban forest of towering, glass-front skyscrapers. People in sharp suits stomp along pavements, rushing to everywhere and nowhere. While tourists, aboard open-top buses, snap away at anything in sight. Chicago is a proper city. Perhaps best-known, at least to some of us across the pond, for its mafia past. America’s third largest city offers much more than tales of Al Capone. Did you know, for example, that Chicago hosted America’s first ever televised presidential debate between John F Kennedy and Richard Nixon? On September 26th, 1960, around 60 million American’s tuned in to listen to the two presidential candidates battle it out. Were you also aware that Robin Williams was born in Chicago? 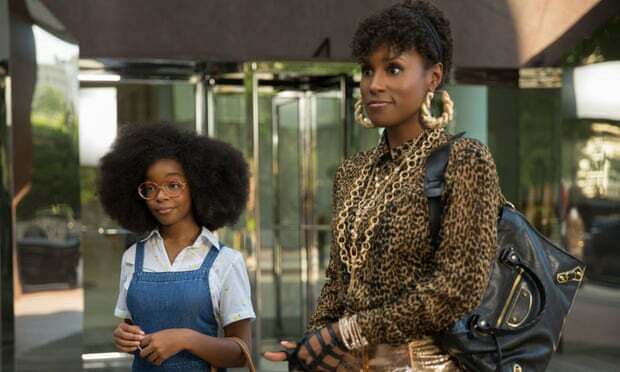 You probably knew that Kanye West grew up there, and Michelle and Barrack Obama met in a law firm downtown. 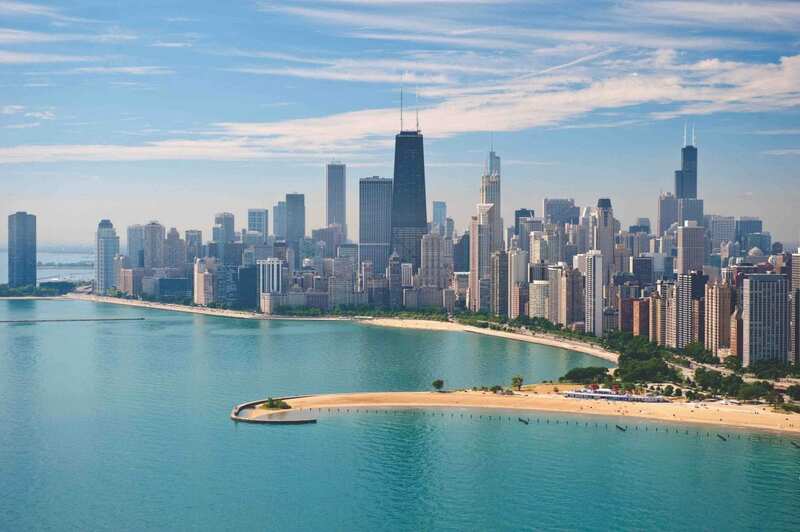 But did you know Chicago has over 570 parks, 28 miles of beach, over 7,300 restaurants, more sports teams than days of the week and a backwards-flowing river? Today, Chicago feels as if somebody has thrown New York, Toronto and London into a city-sized cocktail mixer – and served up the perfect Martini. It’s a city of neighbourhoods (around 77 in total). Each has something different. Downtown for architecture, shopping and theatre. Wicker Park and Logan Square for hipsters hangouts. Wrigleyville for chest-beating sports fun. The West Loop for incredible restaurants. Chicago was voted Restaurant City of the Year by Bon Appetit magazine in 2017. 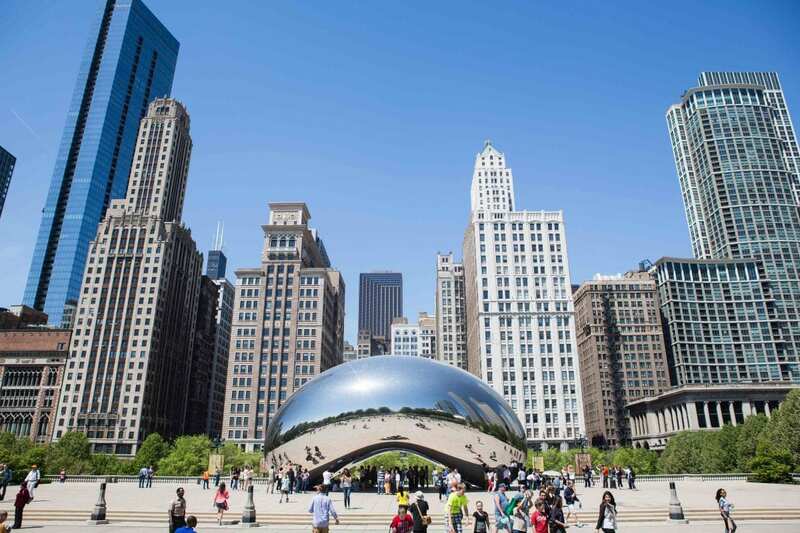 The Windy City also won ‘Best Big City’ at Conde Nast Traveler’s Readers’ Choice Awards’ and the ‘World’s Most Livable City’ accolade from Time Out magazine. Thankfully Norwegian Air now operates budget flights from London Gatwick to Chicago for under £300, so we get to see what all the fuss is about. Chicagoans love sports. Check out the Bears down at Soldier Field or head to the United Centre to see the Chicago Bulls shoot some hoops. If you’re there in summer, go to a baseball game at the Wrigley Stadium. Watching a Cubs game, as locals will tell you, is a rite of passage. Grab yourself a Bud Light and Chicago hot dog (no ketchup) and sing along to ‘Take me out to the ballpark’. Visit: chicagobears.com/tickets for tickets to see the Chicago Bears in 2018 (prices vary). Visit: www.nba.com/bulls/tickets for tickets to see the Chicago Bulls in 2018 (prices vary). Visit: www.mlb.com/cubs/tickets for tickets to see the Chicago Cubs in 2019 (prices vary). The Great Chicago Fire turned the city to charred ruin in 1871, which makes its awe-inspiring skyline that much more impressive. In 1884, 13 years after, Chicago gave birth to the world’s first skyscraper. America’s ‘Second City’ is now one of the tallest in the world. Make the most of its loftiness by scaling the Willis Tower (443 metres) or John Hancock Centre (334 metres). But for the ultimate view of the city’s notorious skyline, take a helicopter tour. Head to the former home of one of America’s most famous writers, located on the outskirts of Chicago in Oak Park. Take the ‘L’ all the way there for a proper Chicagoan experience. The Pulitzer and Nobel Prize-winning author was born in the second-floor bedroom on July 21, 1899. Take a guided 45-minute tour around Hemingway’s old stomping ground and learn all about his life growing up in Oak Park. Opening times: Wednesday, Thursday, Friday & Sunday from 1- 5pm and 10am- 5pm Saturday. Prices from: Prices vary depending on packages, visit: beaire.com/en/aire-ancient-baths-chicago/ for more ticketing information. Though the mafia isn’t the only part of Chicago’s history, it is still a significant part of it. Did you know that, despite being one of the most notorious mob bosses in history, Al Capone was only ever charged with tax evasion? For a quick run-through of the city’s not-so-promoted dodgy past, hop on a mobster tour. Various companies offer different perspectives, some with ex-mafia family tour guides, but we like these two. 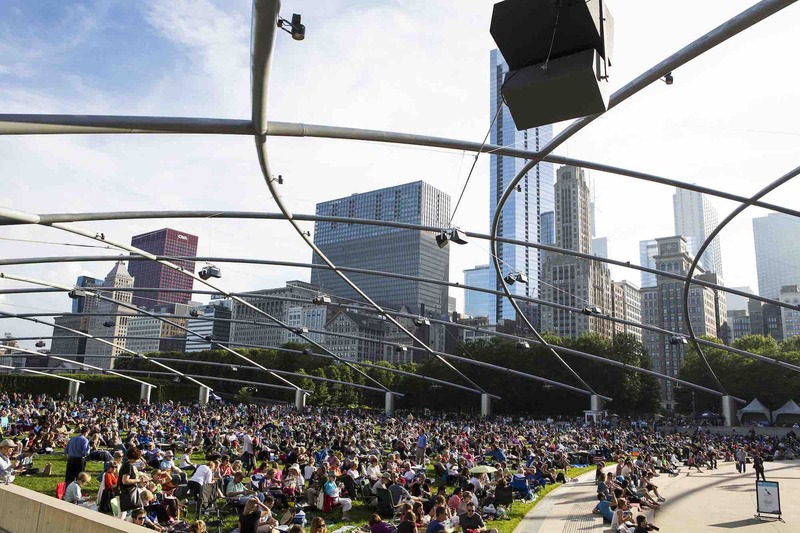 Head downtown to Millennium Park to watch a concert during summer months (June – August only). The abstract stage, which looks like a leftover piece of the Thames Barrier, and surrounding space is bordered by colossal skyscrapers. The venue serves up free gigs under the stars during summer – everything from jazz and classical to rock and roll. We recommend taking your own seats or blankets – and don’t forget to stock up on drinks and snacks. Swing by the ‘Bean’ (a giant, bean-shaped, mirrored sculpture) en-route if only to take your next Tinder profile pic. No visit to Chicago would be complete without a trip to Portillos. Talk to locals in Chicago and eight in ten will tell you to check out this well-known culinary institution. A textbook hangover haunt for fast-food grub in a no-frills and non-judgemental environment. Grab a Chicago hot dog (strictly no ketchup!) and fries and wash it down with a chocolate cake shake and watch as your hangover dissipates into nothingness. Address: Various addresses, all of which can be found here. Most Chicagoan have a favourite spot for an Italian Beef, and will fight to tell you theirs is best. We like Mr Beef. Inside the no-nonsense diner, you’ll find a wall splattered with signed celebrity photographs posing with the proud owner. Head there to sample the hearty sub-style beef sandwich, which is as chunky as the thick end of a baseball bat and comes covered in a rich, sloppy stock. 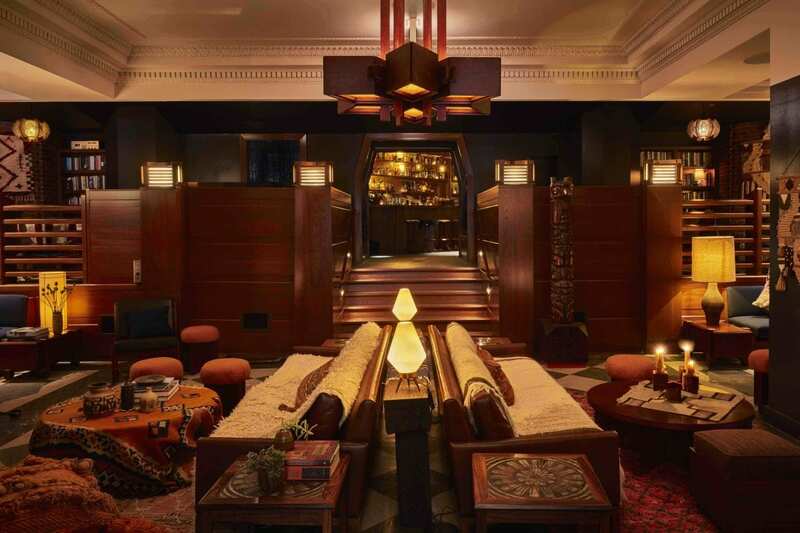 Owned by two lifelong Chicagoans, the Tortoise Supper Club, and it’s extroverted decor (wacky swan-wrapped portraits and chequered walls), offers a relaxed, upmarket atmosphere – somewhere between an old gentleman’s club and underground hipster hangout. Food is no-nonsense, hearty fair and made from as many locally-sourced ingredients as possible. Try the pork chops with grilled asparagus and smoked cheddar grits. 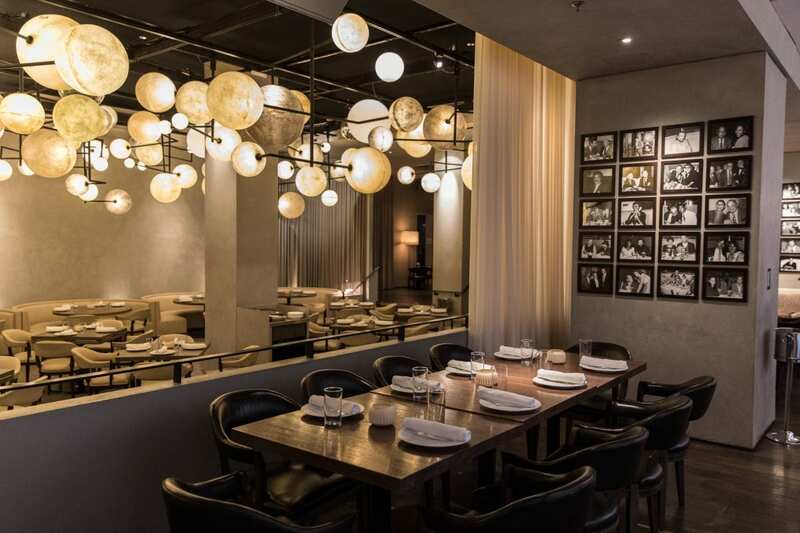 If you’re feeling flush, and like your beef to come from cows massaged in Japan, head to RPM Steak. 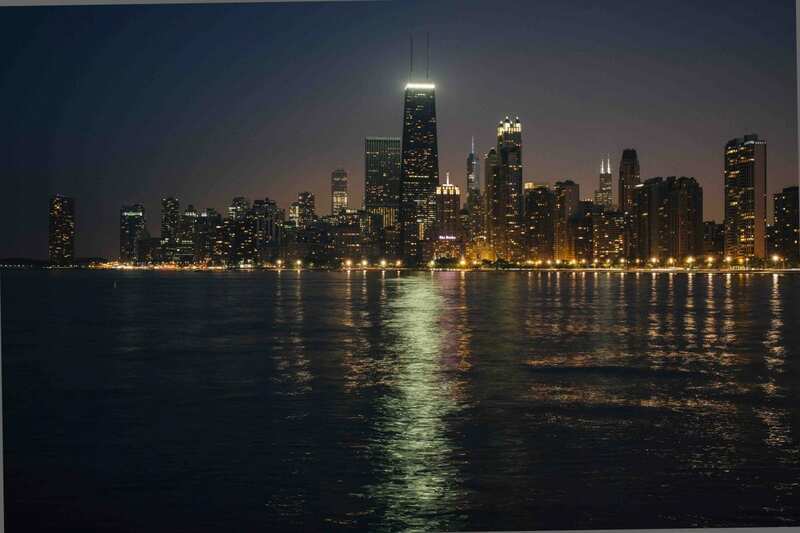 Located in Chicago’s River North district, this spot is popular with celebrities and local sports stars alike. The classy restaurant, spread over 11,000 square ft, caters to those with a taste for indulgent, hi-quality steak – as the name suggests. All of the steak dishes are special, but we’d go for the tender 16oz Bone-in fillet with a side of spicy broccolini. RPM is the ideal spot for a post-show dinner, but make a reservation way in advance as it’s ridiculously popular. Chicago has a long history with the blues. After the Great Migration of African Americans headed to the former industrial – from Southern American states – for work in the early 40s. Check out Buddy Guys for a taste of the city’s moving blues scene. 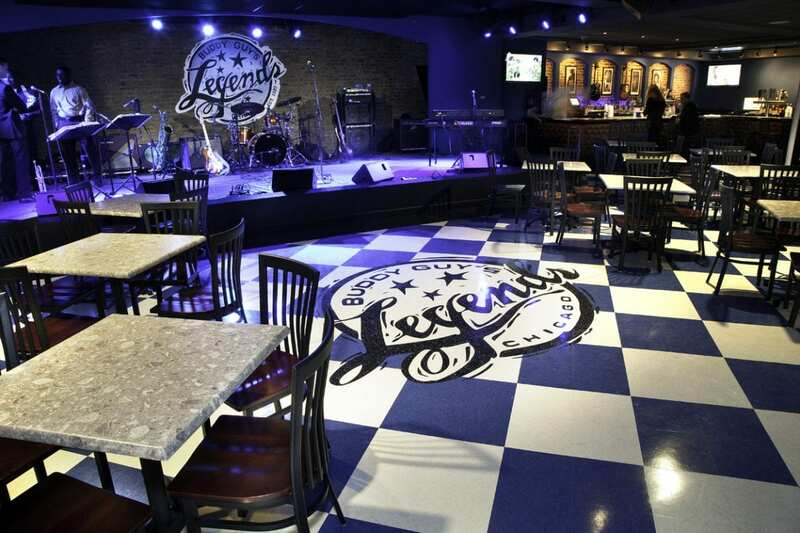 If you’re lucky enough, you might even see old blues legend and owner, Buddy Guy, on the stage. At 82-years-old, he’s one of the last, living original blues stars, having toured with the likes of Muddy Waters. Though catering to tourists, Buddy Guys is a good spot for a dressed-down evening with a Paps Blue Ribbon and some soothing blues. Located Downtown and situated in the bowels of the Freehand Hotel, the Broken Shaker is a definitive hipster hangout. Think Shoreditch speakeasy-style bar with mood lighting, low ceilings, pine-tree punctuated walls and plenty of bearded men. Its downtown location makes it a good option for those looking to explore the Loop – an area made up of rooftop bars and swanky cocktail joints. Visit this authentic, run-of-the-mill dive bar for cheap beers in a lively, cool atmosphere in East Village. It’s the type of bar Doug Heffernan (King of Queens) might well frequent. Sports, beer and good times. Outback sits a little terrace with ping pong tables – perfect for summer days. Head down to nightclub Lotties after to carry on the party. One for the younger ones. If you’re looking for a modern, upmarket hotel to lay your head, look no further than London House Chicago. Located downtown on Upper Wacker Drive, it’s easy to find thanks to the giant Trump-branded building opposite. 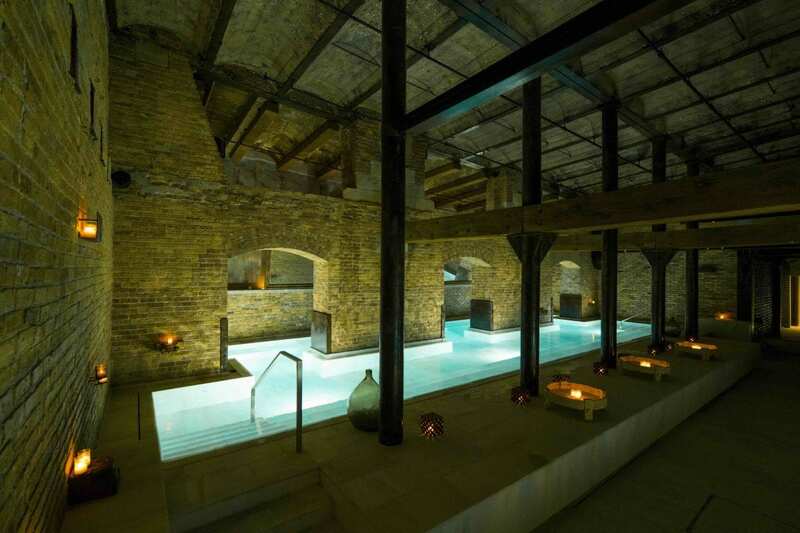 London House Hotel offers the most incredible bathrooms, with loos with views over Chicago’s backwards-flowing river and the futuristic Jetson Towers. Rooms are chic, pristinely-finished with beds almost big enough for a family of four. The main prize is its rooftop bar offering 180-degree views of the city. This four-star, boutique Ambassador Hotel is a worthy place for those seeking a quiet, centrally-located hotel. Situated in a leafy, safe street in Chicago’s Gold coast, it is a short walk from downtown Chicago. Rooms are clean, comfortable and simplistic. However, the hotel’s main draw is its history. For Hollywood aficionados and history goons alike, the hotel’s original restaurant ‘The Pump Room’ is synonymous with film stars and musicians – from Frank Sinatra and Marilyn Monroe to Steve Martin and David Bowie. Downstairs an assortment of black and white stills of many familiar faces hang proudly from the walls. The Freehand hotel offers a range of fairly-priced rooms – from doubles to four-bedroom dorms – located in a central location. 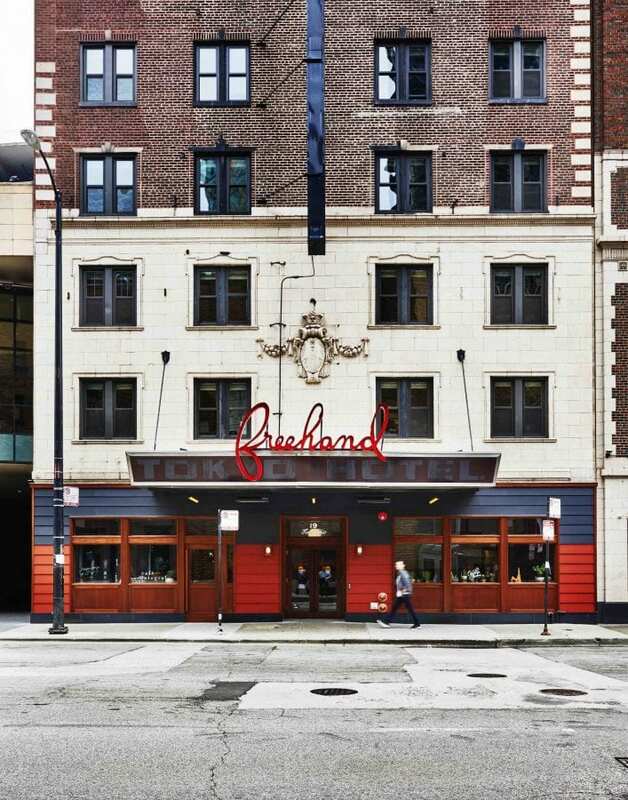 A sociable atmosphere, kitsch, film-noir-esque interior and home one of Chicago’s best hipster bars, makes it ideal for lone travellers or those on a budget. Rooms are chic, clean and maintained to hotel standard.